Framed is a puzzle game that recently released for iOS. The winner of a multitude of awards, it has you rearrange panels to change the outcome of the story so our protagonist can pull off a successful escape. So how did this interesting concept turn out? 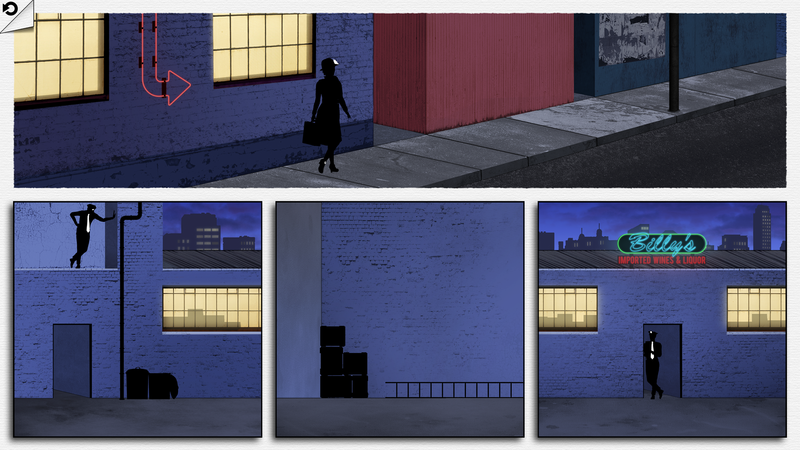 Framed is the debut game from indie developers Loveshack Entertainment, and released two weeks ago for iOS devices. Its tagline is “change the order and change the outcome”, and that’s exactly what you have to do. At the beginning of each level, a scenario will play out across multiple panels which sees our protagonist captured or killed. To get them through the level, you have to rearrange the panels to keep them away from danger and on their way. A simple puzzle encountered early in the game. The arrow in the top-left corner allows you to stop the animation so you can start again. You can see someone swapping the pigeon panel for the one where the main character is zip-lining down a wire. It’s a really cool concept that Loveshack have pulled off beautifully. The game eases you into the puzzles nicely, letting you get a firm grasp of the intricacies before throwing harder ones at you. And they did get quite difficult; there were a few which had me completely stumped for a while, causing me to turn off my phone in irritation and come back the next day. I didn’t have to worry about running out of lives though; in Framed, you get an unlimited number of tries per puzzle, so you can try out a new panel combination without any consequences. 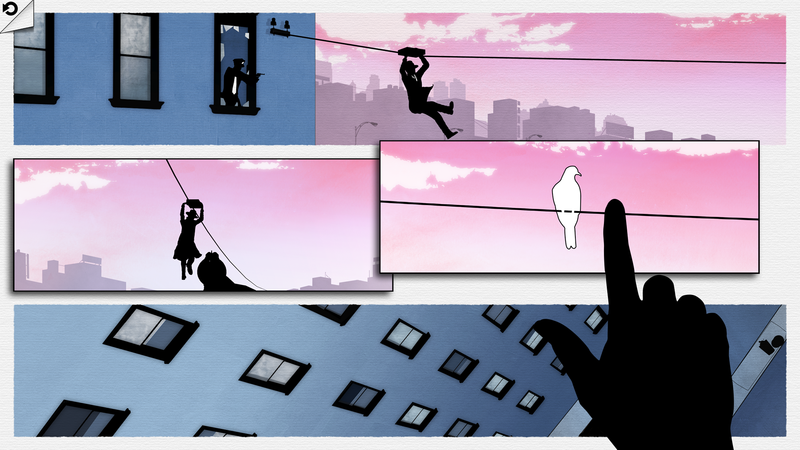 Framed doesn’t just have you swapping panels around in each puzzle. Later in the game, you gain the ability to pivot and rotate certain panels and even have to move them around while the protagonist is moving around; it’s these puzzles that really did my head in, more so than any of the others. They did an excellent job keeping the puzzles fresh. I was surprised by how well Framed managed to tell its story; I was just expecting a fun puzzle game without anything else to it. Framed managed to tell a story of duplicity starring faceless characters who lacked dialogue but nonetheless had a clear personality shown in everything from the way they moved to the actions they took. I found myself quite fond of them by the end of the game, particularly the woman depicted below. I loved Framed’s cool colours and smooth soundtrack. They’re kept nice and simple, and have a distinct noir feel to them that made the game feel wonderfully quaint. The visual style was one of the major things that attracted me to the game, and its uniqueness gelled well with that of the game’s novel concept. 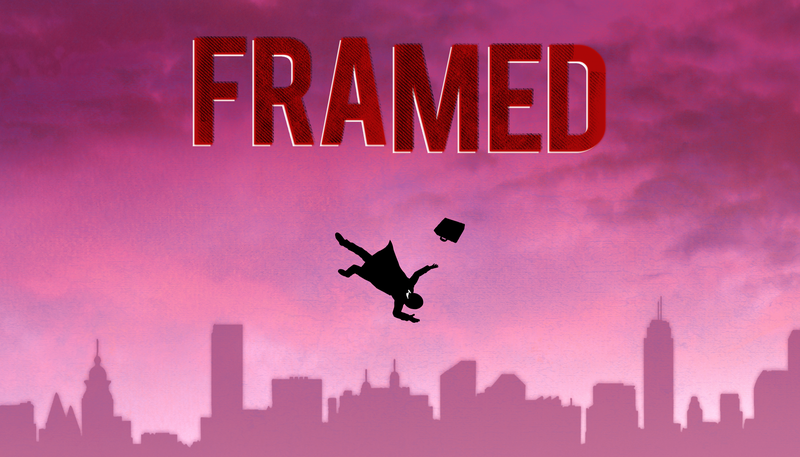 Framed is a game with a unique concept that was wonderfully executed by its creators. Since I’ve finished it I’ve found myself shoving my phone into my friends’ hands and telling them to give it a shot, to their unanimous praise. If you have an iOS device and a few dollars to spare, I suggest you pick this game up immediately.